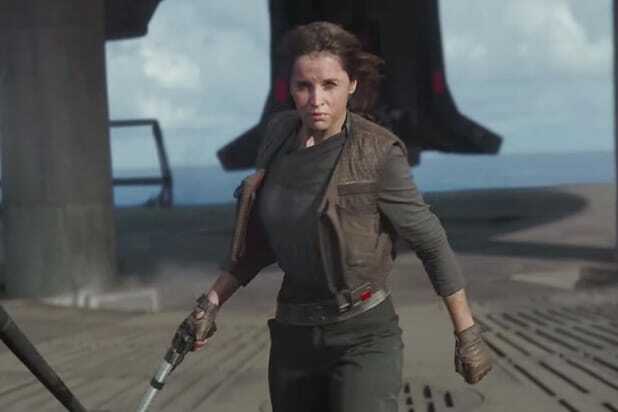 “Rogue One: A Star Wars Story” wasn’t supposed to ever really get a sequel because, well, the sequel is called “Star Wars: A New Hope.” But an early draft of the script suggested that we might get to see Jyn Erso and company again. Writer Gary Whitta spoke with Entertainment Weekly ahead of the film’s Blu-ray release, in which an alternate, “happier” ending for the film was revealed. As “Rogue One” currently ends, Jyn (Felicity Jones) and Cassian (Diego Luna) make a final broadcast of the Death Star plans to Princess Leia’s rebel ship all before the Death Star lays waste to the planet Scarif, obliterating everyone on it — including Jyn and Cassian. But, according to Whitta, the writing team feared Disney wouldn’t allow them to do an ending where everyone died. Instead, Jyn and Cassian would board a rebel ship and escape the beach on the doomed planet. Darth Vader would then destroy their vessel, leaving the audience to believe that Jyn and Cassian had been killed. But in a nod to “The Empire Strikes Back,” they would have jettisoned an escape pod at the last moment and floated away with the debris. 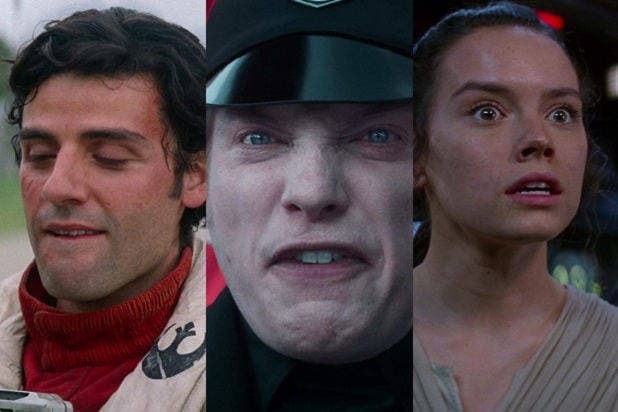 Lucasfilm and the creators didn’t go for it, agreeing that the idea was for the characters to die honorably and nobly in service of a greater cause, and the alternate ending was never close to being shot. This is presumably a different ending than a version that director Gareth Edwards filmed — one whose plot points have yet to be fully revealed and that ultimately hit the cutting room floor in favor of the film’s current ending. “Rogue One” underwent a number of reshoots before hitting theaters, with many clues at the original ending still hinted at in the film’s original trailers. And no matter what ending you consider, “Rogue One” still didn’t explicitly have anything to do with Donald Trump.